There are a handful of things that Grande Roses do well, the main one being that the band writes solid, catchy rock numbers that make anyone within earshot want to dance. The origins of the group trace back to 2003 when Göran Messelt Andersson – who had never been in a band before – decided to try his hand at writing songs. “I started doing covers and then I realized I…sang too poorly and played too poorly to play others’ sounds, to learn other people’s songs, so I started to make my own,” he explained. He joined forces with guitarist Johan and the band was essentially born. However, since that time, it has been through multiple changes both in line-up and in sound. The current incarnation of Grande Roses consists also of Erik Berg on bass, Emil Karlsson on drums, and former drummer Magnus Eklund, now on guitar. Just last October, the band released its third EP, “Hide,” which consists of six songs. To promote the German release, the band played at White Trash Fast Food on Oct. 21. “I believe this EP is just a natural step…on our path from the other two made before,” Karlsson said, while seated at a table in the venue, hours before their Berlin show. 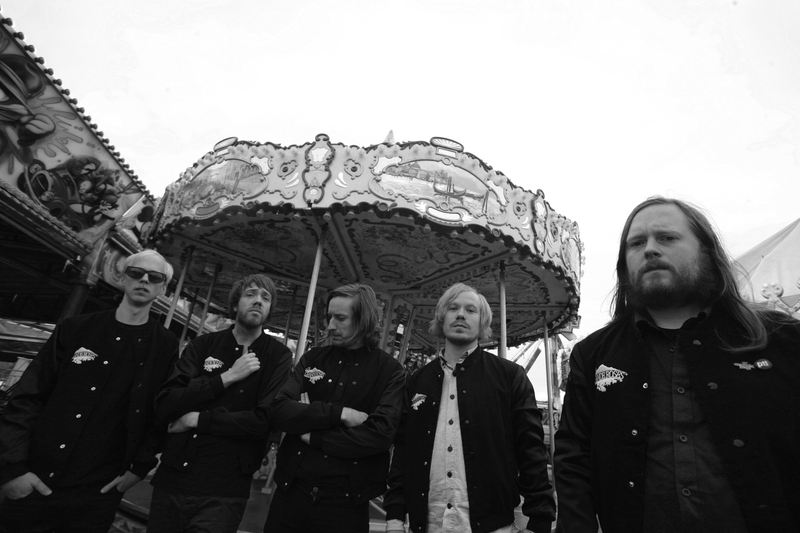 Andersson agreed, sharing that the sound and style matches up with the band of the previous two releases. However, he also said that making EPs is freeing for the group, because it allows them to experiment more with a new direction of music. Where the songwriting process is concerned, Andersson writes the main demos and then brings them to the members, asking them to fill in their parts. The process is relatively simple from there on out, with the band nailing down how they want the songs to sound on their individual instruments and then recording them. However, the members of Grande Roses aren’t obsessed with practicing, preferring an unrefined sound over having everything in order. The raw energy he speaks of is a noticeable difference from an earlier Grande Roses sound, which included more country influences. Andersson said part of this reasoning of moving from country toward rock is because it frees up the band to experiment more within the genre. And while the combination of five members and endless musical possibilities can lead to conflict in other groups, Andersson insisted that the band has found a good balance both in defining its sound and in relation to one another. This entry was posted in Interview and tagged Feature, Grande Roses, Interview, Swedish. Bookmark the permalink.